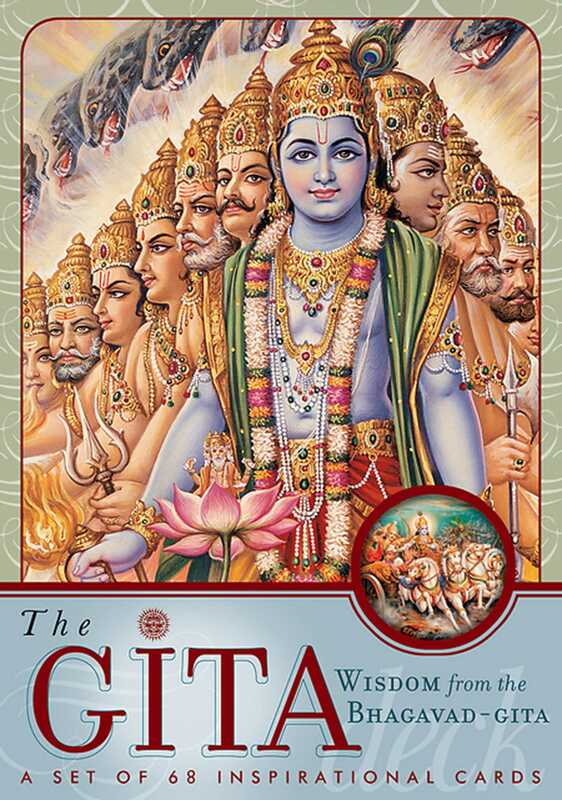 The marriage of Bhagavad Gita's profound wisdom and India's premier artists culminates in The Gita Deck: Wisdom from the Bhagavad Gita. Sixty-eight jewel-like verses of spiritual understanding adorn beautiful art cards depicting India's rich spiritual heritage. Each card showcases a verse from the Gita under headings including Individuality, True Leaders, Winds of Desire, Maintaining Balance, Determination, Eternal Soul, and Fall from Grace. The cards are a unique and inspirational way to access the timeless teachings of the Gita, in a portable and easily referenced box set.